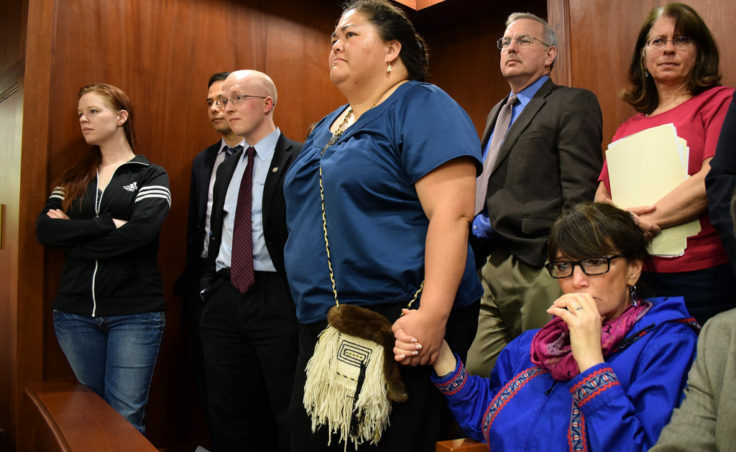 Supporters of a bill to make 20 Alaska Native languages official state languages organized a 15 hour sit-in protest at the Capitol on Sunday. Their dedication paid off early this morning, when the Alaska Senate passed the measure on an 18-2 vote. 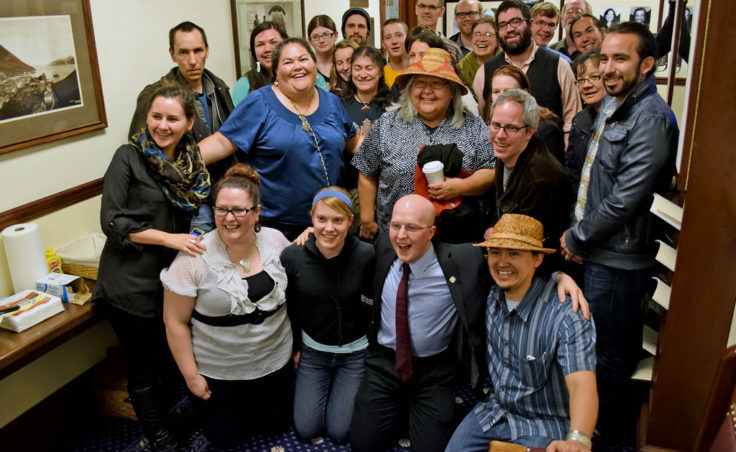 The Alaska House passed the bill last week, 38-0. It now heads to Governor Sean Parnell for his signature. 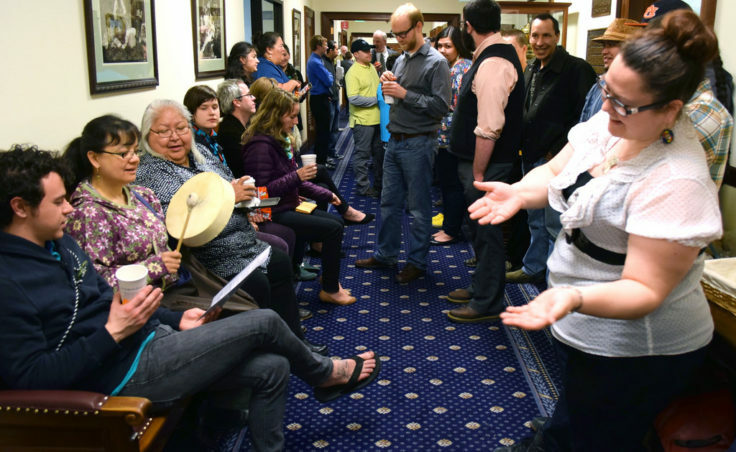 http://s3-us-west-2.amazonaws.com/ktoo/2016/07/21NATIVE.mp3 Dozens of people of all ages and races, many wearing their Easter finest, gathered in the hall outside Sen. Lesil McGuire’s office. The Anchorage Republican and chair of the Senate Rules Committee had the power to put House Bill 216 on the Senate’s calendar. But with end of the legislative session looming, the bill’s supporters worried it was getting caught up in last-minute, behind-the-scenes politics. The group started their vigil just after noon, singing, dancing, and playing drums, and talking about why Alaska Native languages are so important. “Our language is everything. It’s the air we breathe. 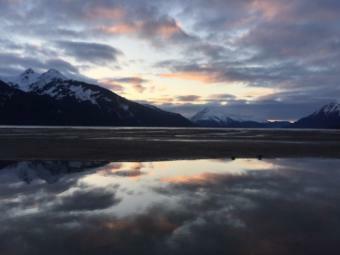 It’s the blood that flows through our veins,” said Lance Twitchell, a professor of Native Languages at the University of Alaska Southeast. 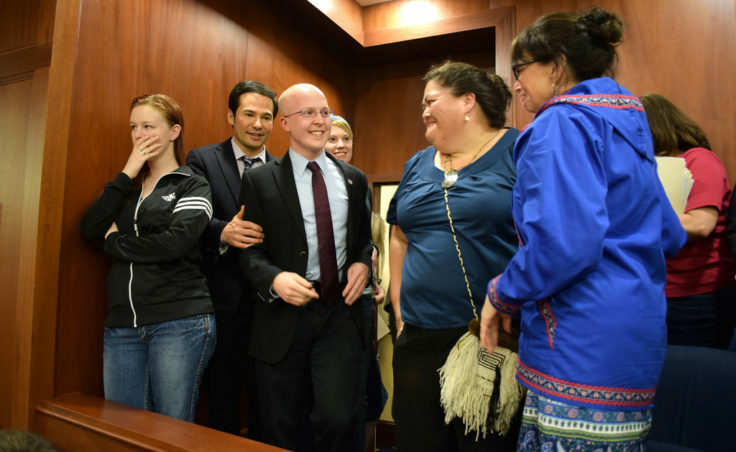 HB 216 would add the state’s indigenous languages to a statute created by a 1998 voter initiative, which made English the official language of Alaska. While the bill is largely symbolic, Twitchell said it’s important to recognize all languages as equal. Many elders who attended the sit-in recalled being punished as children for speaking their first languages. 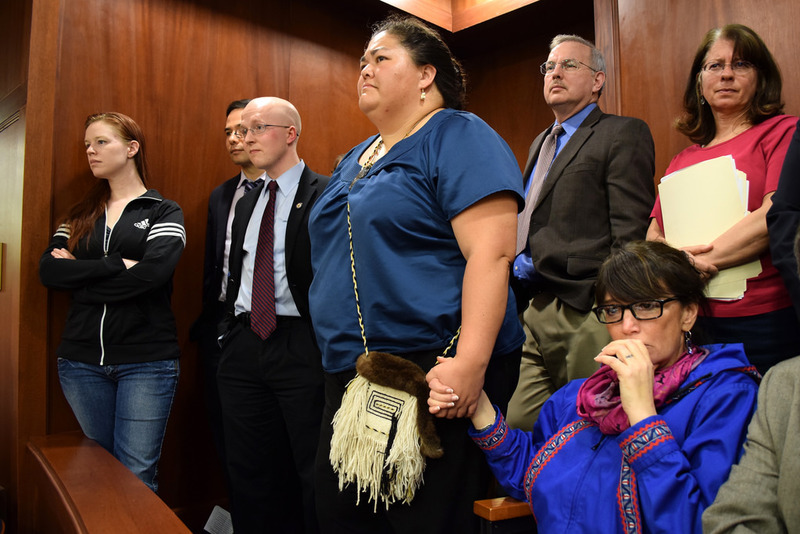 Irene Cadiente of Juneau said her teachers would hit her with a ruler when they caught her speaking Tlingit. Cadiente said she’s proud that her great grandchildren are now learning to speak the language. Heather Burge, a student in the Native Languages program at UAS, said she didn’t understand how HB 216 could become controversial. After the group had been outside McGuire’s office for about 30 minutes, the senator’s Chief of Staff Brett Huber announced the bill would be scheduled for a floor vote. McGuire later made an appearance of her own. It was 3 a.m. by the time the measure finally reached the floor. 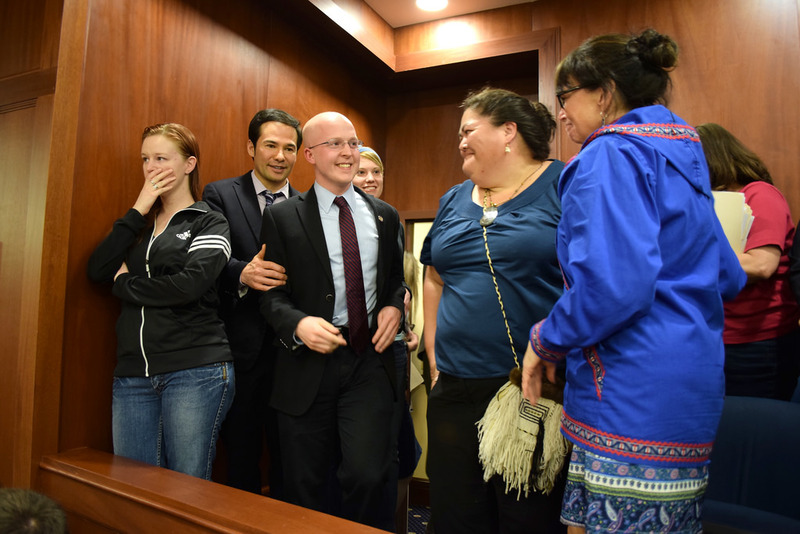 Sen. Donny Olson, D-Golovin, who’s Inupiaq, said the bill would not have made it through the legislature without a groundswell of support. 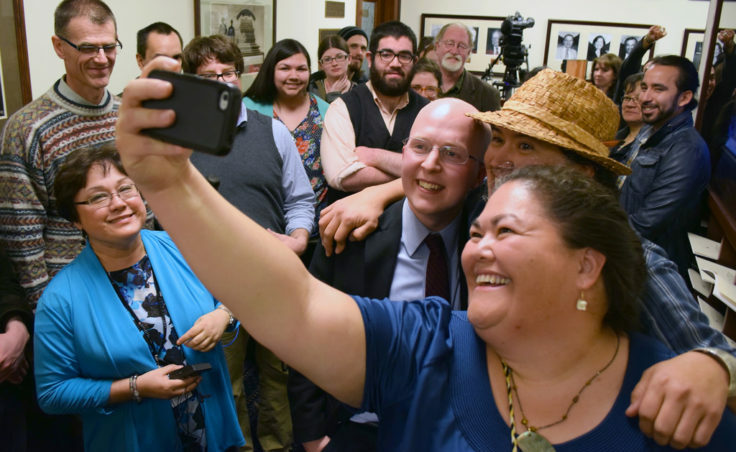 “The elders, the youth, Native and non-Native,” Olson said. Coghill said he was an apologetic no vote. He added that he would be willing to own up to it if he ends up being proven wrong. Sen. Pete Kelly, R-Fairbanks, was the other Senator to vote against the bill. After the bill passed, supporters gathered outside Senate chambers to embrace each other and shed tears of joy. Twitchell summed up the feeling with a Tlingit phrase. “We succeeded. 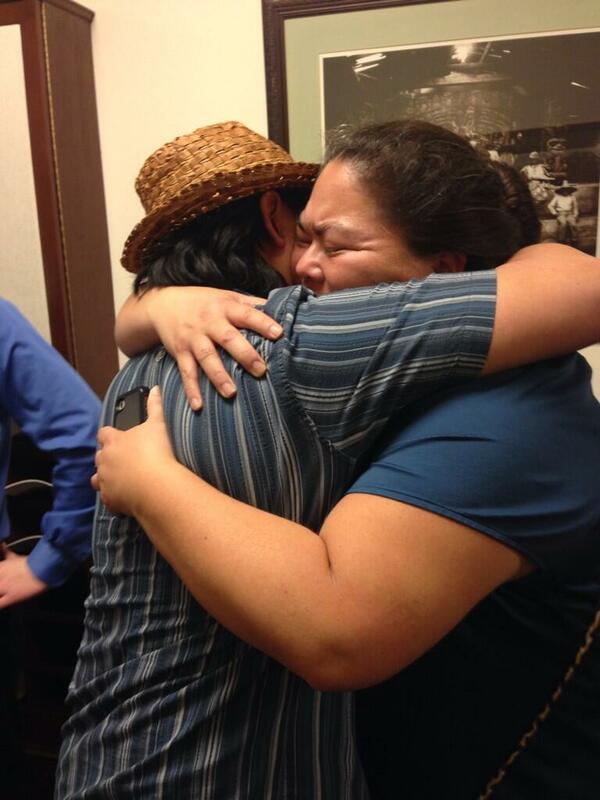 We obtained,” Twitchell said after first saying it in Tlingit. The bill explicitly says the official language designation does not require the state or local governments to conduct business in languages other than English. But Twitchell said putting them in the same part of the law builds momentum for future generations of Native language speakers. If Gov. 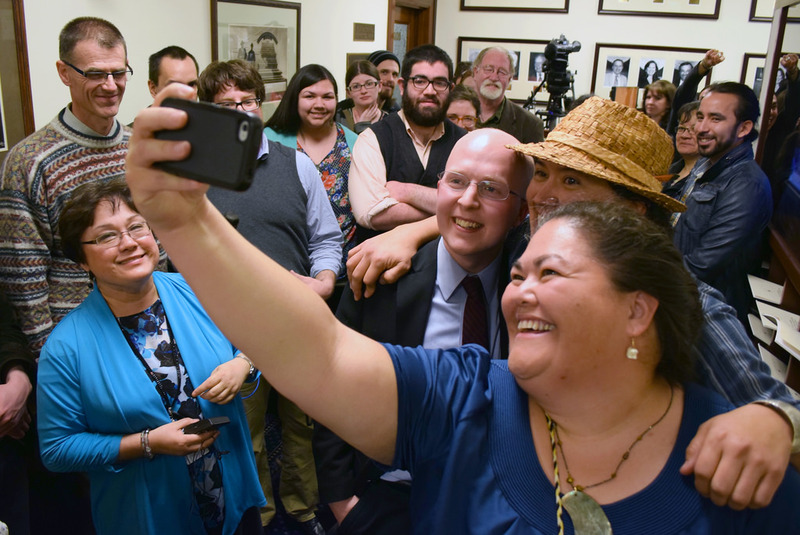 Sean Parnell signs the bill into law, Alaska will become just the second state after Hawaii to officially recognize indigenous languages.